However, Daybreak investigation shows that the appointment of Asen who was the head of Tax Assessment before the exit of Ayaban has received Cold reaction from majority of the Staff of the Board, stressing that his Confirmation as the Substantive Chairman spells Doom for BIRS and the revenue base of the State. Meanwhile, the former Chairman Mr. Andrew Ayaban has dragged Benue State Government to the National Industrial Court of Nigeria sitting in Abuja to Challenge the undue termination of his four years Contract appointment as the Chairman of Benue State Board of internal Revenue service. According to one Mr. Alfa, a staff of BIRS, “the Counsel to Mr. Ayaban, S.T. Hon has argued that Benue State Government, Attorney-General and four others have wantonly breached his Client's right by Constituting an illegal administrative Committee to study the auditor General's report on BIRS between January 2010 to July 2012, whereas, the committee audited him without his knowledge or inviting him to make any presentation”. Therefore, Hon. Justice E.D. Esele, granted all the injunctions and restrained all the respondents, agents, officials or Subordinates from making any adverse reports, recommendations, or pronouncements against the vested interest of the applicant, Mr. Andrew Ayaban, pending the determination of the application. Efforts to speak to Andrew Ayaban proved abortive as his phone was not accessible as at the time of going to press. 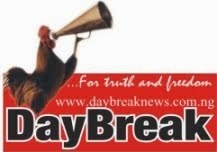 In the main time, a competent source who spoke to DayBreak in Confidence accused a Commissioner who is believed to be a close ally of Governor Suswam to have masterminded the compulsory leave of Mr. Ayaban which initially was for only 3 months but lasted for a whole year before the acting chairman was confirmed. 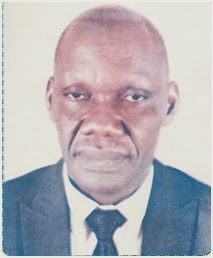 The Source alleged that, “the commissioner and some prominent politicians saw the Ushongo born technocrat as becoming too popular in the State, courtesy of Board of internal Revenue”. The Source Concluded that, these Selfish politicians were able to convince the Governor that, Ayaban was nursing the North East Senatorial Ambition in 2015, a position that is believed to be reserved for Suswam in 2015 by his admirers even as the Governor has not publicly declared his intention. However, another school of thought claimed that Ayaban was interested in the Kwande/ Ushongo Federal seat at the House of Representatives, which the Commissioner’s Camp are also said to be halving a candidate. In a related development, Benue State House of Assembly is putting strategic measures to invalidate the appointment of Mr. Gabriel Asen as the Chairman of BIRS. In a motion sponsored at the floor of the house by Hon Baba Ode, he described the decision of the Governor as unlawful. He traced the law establishing BIRS which provides that, approval must be sought and obtained from the House of Assembly before appointment of a service Boss. Hon Ode wants members of the public to disregard the appointment as it failed to meet Due process. In his ruling, the Speaker, Benue House of Assembly, Hon Terhile Ayua directed the House Committee on Finance to liaise with the Secretary to the State Government (SSG) and the purported appointee to properly investigate and brief the House on the issue.